In 2013, punters paid just £3 to watch Blossoms’ first live show at Night & Day Café in Manchester. What a bargain! Since then, the Stockport five-piece’s rise to the top has been exponential. Their self-titled debut record hit the top spot in the UK Albums Chart, earning them a Mercury Music Prize nomination along the way, and for the last 18 months, they’ve been touring non-stop around the world. With album two on the way, we talk to Blossoms’ lead guitarist, Josh Dewhurst, and the band’s live engineers, about touring life, top kit, and constantly striving for more. A good crazy, though, no doubt. The lads have come a long way since the beginning of 2014, when their fanbase was just 200 local fans. Now, it’s on a global scale. But Blossoms won't forget their roots. What’s the key been to this success? “Honestly, we are just five very normal, happy human beings from Stockport,” smiles Dewhurst. “Each one of us is creatively involved: [bassist] Chas is great with photography and design, as well as music; [frontman] Tom writes the songs, brings them to us, and they become Blossoms when we put our own influences in. A wise attitude on young shoulders, five times over, then? Dewhurst was the band member that pushed from an early stage to take the audio technology a step further on the road. “I’m nerdy, so that’s what I’m into,” he laughs. “But yeah, I pushed for tracks, and in-ears; I was the one who was keen to try different mics out, that kind of thing, you know? True enough. And The Coral story is an interesting one: Blossoms recorded their first single as a band in 2013 – Blow - in their old rehearsal room with just one mic. It was, Dewhurst insists, ‘dead basic and gnarly’, but it was enough to prick James Skelly's ears. So the formula works in the studio and on the road. Where do you go from here, sonically? “Well, we are far from perfect, but relentless touring is a great way to improve your playing and tightness,” states Dewhurst. “To live with five lads and crew together is gruelling and amazing at the same time. So I think we have evolved sonically, and the second album is sounding bigger than ever – we feel we’re on a whole new level now, really. Not all bands speak highly of their labels, but the guys at Virgin EMI seem to have allowed Blossoms to be themselves musically, which is great to hear. In control, in other words. So album two is Blossoms on musical steroids of sorts? 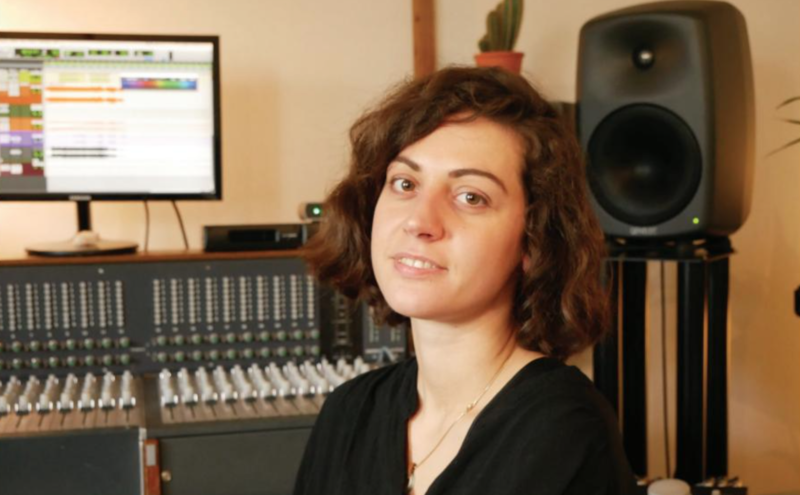 "Think in a musician’s way, mix as if you’re playing - how you would want the mix." Two years ago, when working with Viola Beach, Cal Bate did a short stint with Blossoms working monitors. Dewhurst mentioned to him at the time that the band might need a permanent monitor guy in the near future, and three months later, he got that call. This was May 2016. 21-year-old Bate is the youngest in the crew, and has a great relationship with the band. He started his career in audio engineering at just 16, working the desk for the likes of The Futureheads, Carl Barât, and The Libertines, at a venue called Friars Court in Warrington. “It was a great education, and then I went to uni at SSR in Manchester, but came out before the end, as I ended up doing tours; I’d just turned 20 when I started with Blossoms. The course at SSR was in studio and live music production, though Bate admits it was probably only 20 percent live. On this recent Blossoms tour, Bate has been working from a Soundcraft Vi2000 console with a UAD realtime rack, and Shure PSM1000s for the band’s in-ears. Bate says the Vi2000 feels like an analogue desk in that it’s all set out in single strips. “The thing with Blossoms is, there is so much going on in every song, you have to push their mixes, especially the drummer; and with the PSM1000s, you can cram a lot of stuff in there, and they sound better the more you put into them. So if you’re slamming those units, and the pack is on high gain, they sound like you’re in a studio, like they’re coming out of a massive Neve desk. And that’s why we use them. What's the key to being a great monitoring engineer, then? Chris Pearce works front of house for Blossoms, as well as fellow-Mancunians, Inspiral Carpets. He has also worked on various Shed Seven and Happy Mondays shows. A local lad through and through, then? Pearce’s musical journey began - and quickly took a different turn - when his mum and dad decided to buy him a tuba, as he was playing in a brass band. Pearce says he has never mixed a band he isn’t a fan of, which is why he sometimes looks like he is Djing when working front of house. He uses a Soundcraft Vi3000, and he's running a Waves SoundGrid. “Every time I used one of those desks on tour, I’d have a great gig on it; it’s simple, and sounds great, and I always came away with a smile on my face,” he says. “I use the internal effects from within the console, and then I rely on the Waves kit to get the sound I’m after. “Even if I took my dream analogue rig out, I would miss the C6 plugin! I’d probably still integrate it in there somehow! I am using it on my master buss, but the main reason is that it’s almost a dynamic EQ type thing; with Tom’s vocals, he has a biting point of about 3-4k, which sometimes becomes a bit harsh. So when he projects, I like to pull it down a bit to keep the vocals nice and smooth. You have so much control over everything with the C6, it’s just unbelievable, really. We chat a little about mic positioning, and like Bate, Pearce is quick to big up the Shure KSM313 on Dewhurst’s guitar amp. Nice to hear. And here’s to wishing Blossoms and crew the very best of luck with the tour and the new album this year.